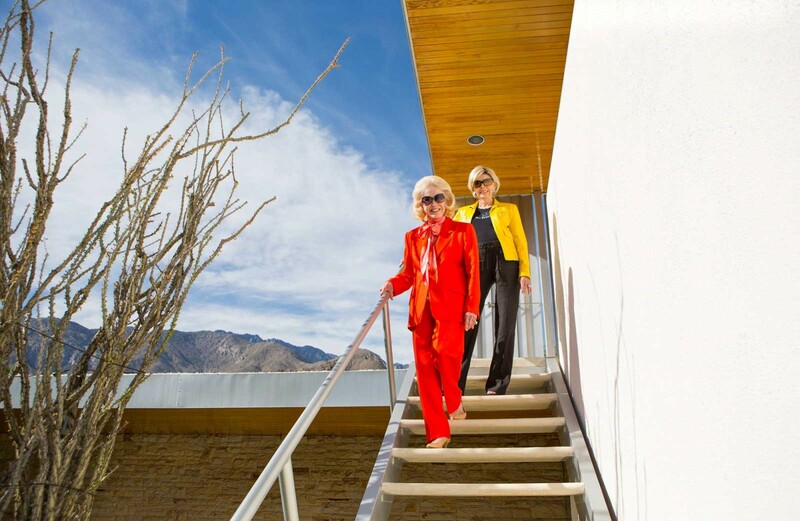 Helen Kaptur & Nelda Linsk return to the Kaufmann House, site of Poolside Gossip. Kelly Lee is in the background. A very special reunion of Helen Dzo Dzo Kaptur and Nelda Linsk at the Kaufmann House in 2015. 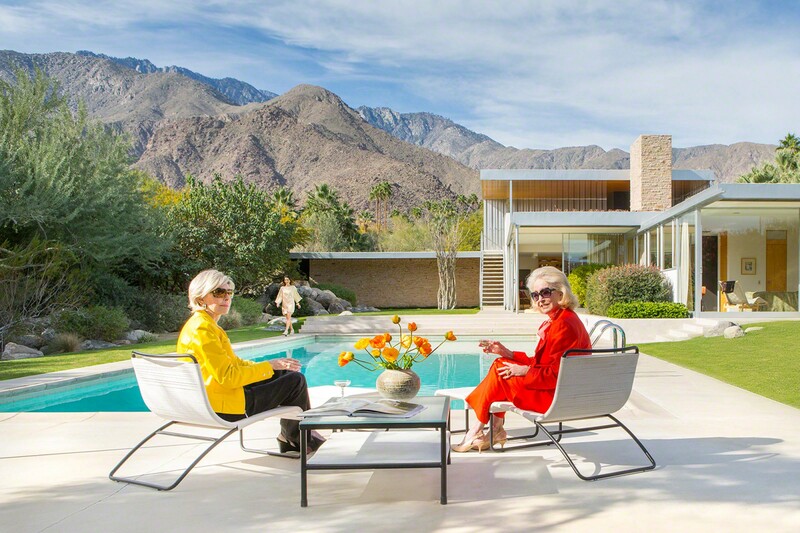 The two ladies, who were the stars of Slim Aarons’ photo Poolside Gossip, returned to the home together for the first time in 45 years to reminisce about the famous photo shoot. It was an absolute honor for Kelly ( @kellygolightly ) and I to share the day with them. 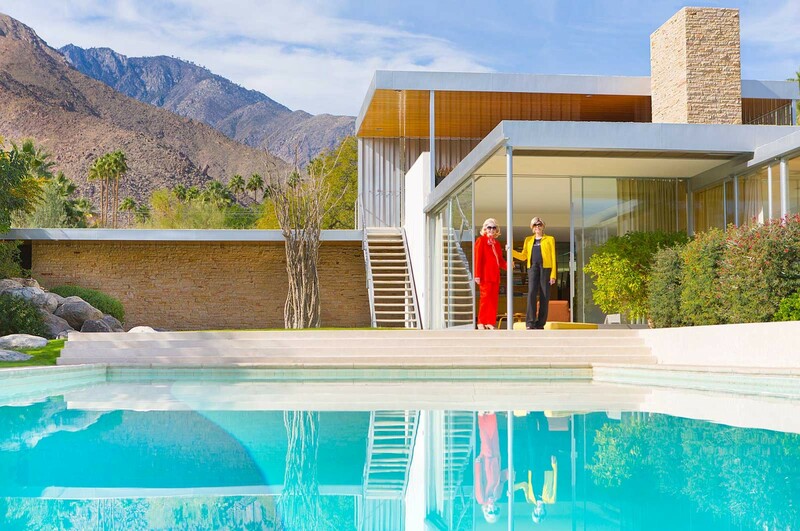 Special thanks to Modernism Week, Chris Mobley and Gary Johns, for setting up this wonderful event. One of the photos from this series was featured in the New York Times on Feb 19th in a full-page article in the Home section. 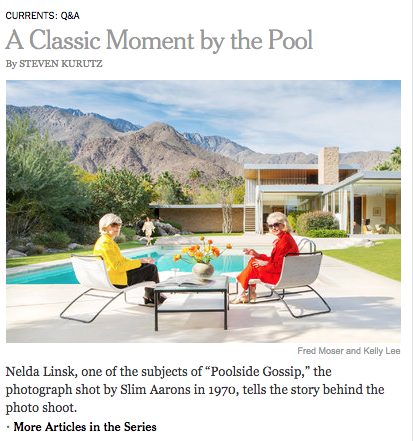 Poolside Gossip Reunion in the New York Times.